The Association of Women Lawyers, Malaysia: Book-launch featuring 10 prominent women activists - 6th August, 2013. Book-launch featuring 10 prominent women activists - 6th August, 2013. 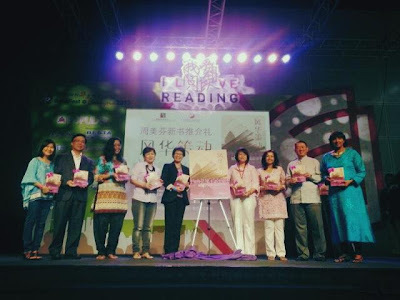 Datin Paduka Chew Mei Fun launched her book of 10 women activists, namely Dato Ambiga , Ivy Josiah, Ho Yock Lin, Datin Paduka Marina Mahathir , Dr Cecilia Ng, Loh Cheng Kooi , Madeline Yong and Meera Samanther (our President - far right). Labels: AWL. Chew Mei Fun.